Coconut water is one of the oldest natural drinks available to mankind. It is also very refreshing and high on nutritional value. During pregnancy your nutritional requirements are high. 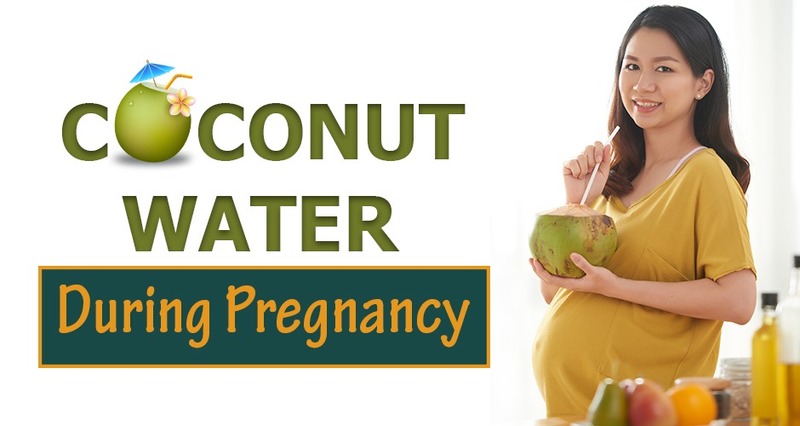 Therefore, it is quite beneficial to take coconut water during pregnancy. In India coconut water is popularly called “Nariyal paani” or “Elaneer”. As the tender green coconut fruit grows, the liquid endosperm gets stored in the centre. This clear isotonic liquid is called coconut water. It is rich in essential nutrients. The morning time is the best time to drink coconut water during pregnancy. The coconut water is full of electrolytes and nutrients. In the morning your stomach is empty, therefore absorption of electrolytes in your body is easier. Is Coconut Water Good During Pregnancy? Pregnancy is quite demanding for your body. There is exhaustion and dehydration because of the requirements of the growing fetus. Within your body, many changes take place rapidly. Hence, it is important to keep the body adequately hydrated. Coconut water replenishes the body with natural vitamins and minerals. During pregnancy elders often advocate avoiding consuming anything which is processed or mixed with preservatives. Coconut water is a favourite amongst the easily available hydrating options which are nutritious and natural. In the first trimester, some pregnant women complain of heartburn and constipation issues. Green coconut water is rich in dietary fibres, therefore, helps to ease constipation. Coconut water is effective in regulating the pH levels in our body. This. in turn, helps you to combat acidity and heartburn. Coconut water is rich in antioxidants and essential nutrients. It helps to build immunity of both the mother and the fetus. During pregnancy, the tendency to put on weight is more. Coconut water is considered to be fat-free. It is also low in calories. You can consume it happily without feeling guilty. During pregnancy, women are suggested light pelvic exercises. You also tend to get tired easily because of the extra weight you carry. Coconut water during pregnancy acts like an excellent revitalizer. It gives the much-needed energy boost after a walk, swim, or yoga session. During pregnancy, doctors suggest that the level of uric acid should be low. When we intake coconut water during pregnancy it acts like a diuretic i.e. increases our urge to urinate. By doing so, we flush out most of the toxins from our body. This also clears our urinary tract and reduces the chances of urinary tract infections. It is beneficial for the kidneys too and prevents the formation of kidney stones. Coconut water is a rich source of essential minerals (electrolytes) like phosphorus, calcium, magnesium and potassium. Electrolytes send electrical charges across our body and assist in smooth functioning of the muscles. They also maintain pH levels. This has a soothing effect on our body. It helps in reducing nausea, vomiting, morning sickness, etc. Coconut water in pregnancy helps in maintaining low sugar levels. It has low sugar compared to other energy drinks. Some women tend to complain of gestational diabetes during pregnancy. It is a preferred drink for such women as it does not add much to the sugar content in the blood. If you are wondering is coconut water good for pregnancy, especially fetal growth, the answer is – yes, it is. Being packed with essential minerals and nutrients coconut water aggravates the healthy development and growth of fetus. It provides a balanced nourishment to your baby. During the third trimester, your baby is increasing in size. It is important that there is adequate amniotic fluid to ensure the overall health of the fetus. Regular intake of coconut water in this period improves the level of amniotic fluid in your body. It also regulates the general environment around the baby in your body. When you drink coconut water during pregnancy you must ensure it is fresh. After you cut the tender green coconuts, pour the water in a clean glass and immediately drink it. You should avoid taking out the water and consuming it after few hours. One glass of coconut water daily is a safe level of intake during pregnancy. You should avoid drinking coconut water from ripe coconuts. It may lead to constipation in some pregnant women. You should always prefer having natural coconut water in pregnancy instead of canned or bottled coconut water.